Attorney Summer McKeivier obtained an outstanding result of three years probation for a client caught in a Federal sting operation who was facing many years in prison. Attorney Baum's client was charged with trafficking over 500 grams of crystal methamphetamine, and had two prior drug convictions. Due to Attorney Baum's expertise, the case was dismissed. "This is one of those cases that comes around far too seldom in the career of serious criminal attorneys -- a case where we knew the agents were lying and we were actually able to PROVE IT!!! At stake was a mandatory life sentence. While winning the case was very gratifying, being able to give a young man his life back was even better." 1. Federal Sentencing Guidelines- While there have been some positive changes in the Federal Sentencing Guidelines, they are still, in our opinion, grossly unjust. It is imperative that a defendant understand the Federal sentencing guidelines in their case. We can explain it to you in great detail. 2. Federal Bail- Federal Court does not use bondsman. 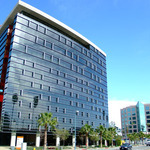 Rather, the options, are either a Property Bond,.a Cash bond or a Signature Bond. Present your side of the story to try and get the charges reduced or dropped. Negotiate for a pre-charging disposition. Often, it is more difficult to drop a count that may carry a harsher sentence once it is filed in court. Therefore, acting sooner rather than later can be a very good tactic. For defendants who wish to do so, this is the best time to cooperate for a reduced sentence. This almost never happens in state court but is frequent in Federal Court. Arrange for bail prior to arrest so there is no time spent in custody before the first court appearance or while waiting tot accomplish the sometimes complex paperwork for a Federal Bond. While the Federal Sentencing Guidelines and mandatory minimum sentences are still far too harsh, CLG is pleased to report that the Federal Sentencing Commission seems to FINALLY be taking some positive action. The commission has passed a bill that will reduce the drug quantity guidelines and we are hopeful that mandatory minimum sentences on low level drug cases will soon be drastically reduced. We expect congress to follow their lead in November 2014. Naturally, CLG will continue to fight against all mandatory minimum sentences. The firm is also pleased to report a growing trend we have noticed among the more enlightened federal judges to try harder to fit the punishment to the offender rather than just to the crime. In other words, by our presenting much more personal history and mitigating circumstances to the judge than he/she gets from the government or the Probation Department, we are seeing some real benefit to our clients. That is why we spend so much time and energy in the preparation and submission of a Sentencing Memorandum. Of all criminal charges, the most intimidating can be federal charges. The federal government has virtually unlimited money and resources to pursue its charges. It often takes years to build a case. If you learn that you are under investigation for a federal charge, it is very likely that you will be charged. By the time you are charged or indicted, the feds will have built a substantial case against you. Because of their vast resources, that evidence may include wire taps and video surveillance. However, you don't have to be accused of an extremely serious offense to face federal charges. Even a minor offense, if committed on federal property such as a national park, can result in federal charges. If you are convicted of a federal charge, you may be facing long prison sentences. Federal judges are very strict and almost always adhere to severe sentencing guidelines, and there is usually no chance for parole. Questions? 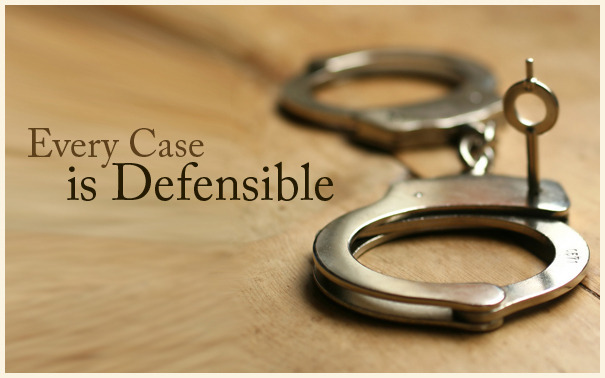 Call (800) 209-4331 for an immediate, free case consultation.